Some stuff about adding solar power to my RV. 100W Solar Panel from Amazon.Com & elsewhere. Renogy 100 Watts 12 Volts Monocrystalline Solar Panel I chose monocrystaline over polycrystalline. it.. well, Looks Prettier, is slightly more efficient and only costs a little more: about $140 U.S, and has a decent warranty. Size: a 2′ by 4′ rectangular tempered glass unit with an aluminum frame to keep it rigid, it spends most of its time strapped flat on the roof, but can be un strapped and tilted. Depending on lighting, the panel produces a wide voltage and power output, theoretically nearly 100W electrical watts under maximal conditions, so needs a ‘charge regulator’ plus a deep cycle battery as its reservoir. The specs. 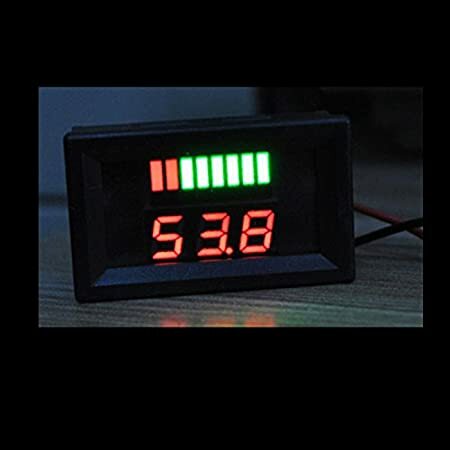 say the maximum panel amperage output is under 6A, so the regulator spec must easily cover that. I bought a 20A one (in case I add a second panel) very like this JVRTL49L which includes two 5v USB ports and a built in temperature sensor as ambient temperature affects the formula the box uses to charge the battery. I chopped up an old orange 110v 2-core (black & white) flexible extension cord to about a 15′ length (leaving some coiled up spare on the roof) to bring power down from the roof to under the sink where the RV battery and distribution circuits exist. Be SURE to seal the hole you make in the roof to bring it in with some kind of flexible mastic- the self leveling stuff used to treat RV roof seals is of course, Ideal, and most RV owners should have some of this expensive but effective stuff around. Cable is rated 15A for the particular wire-gage. The panels are sold with MC4 Solar Connectors so I bought couple more Chinese for about $3 each to link up. Maybe because I was so Cheap these failed before long, though they LOOKED like a good idea at the time: Waterproof, positive lock, you name it, they eventually failed with high resistance connectivity, so ended up using Uxcell 660V 30A screw in connector blocks . In another article I showed how I changed all of the RV interior lights to LEDs and find even on grey days, the panel in the day easily keeps up with the light’s consumption at night as well as easily charging phones, laptops etc. In bright sum the panels easily keep up with powering three 12 volt cooling fans without using battery! DO NOT at this point involve your engine’s cranking battery in these fun and games, this is strictly designed to maintain charge on the RV ‘House Battery’ of ‘Deep Cycle’ design which is of necessity, primarily intended to get somewhat discharged and stay that way at times. Doing this to a cranking battery will kill it after a few cycles. In another article I shall explain what I learned about how the cranking and house battery are both charged by the engine’s generator, and properly remains otherwise isolated from shenanigans with the house battery by an electronic isolator. Having said that: Even a deep-cycle battery will be A LOT happier and last longer if you keep it close to the 100% charge mark- and when your RV is out of use, the solar will continue to do this for you WITHOUT over-charging it, as managed by that charge regulator. There is a non linear relationship between voltage and battery capacity that I can never exactly recall, and why should I? It provides little intuitive information: However these $14 devices are great at giving a good Visual. I have tried getting non lit LCD version of this so the light is not annoying at night, you may have more luck! Total Cost: About $160 and your Time.